When I hear an inaccurate statement such as, "My doctor told me to stay away from saturated fats," it makes my blood boil; it's hard to keep my mouth shut and not give my "radical opinion." Saturated fats come in three classes: short, medium and long chain fatty acids. Classes are determined by the number of carbon molecules they contain. Coconut oil has short and medium chain fatty acids that are easily absorbed by the body and have numerous health benefits. How Did Coconut Oil Get Such A Bad Rap? When America's supply of delicious, nutritious coconut oil was cut off in WWII, American companies took the opportunity to promote their so-called "heart healthy oils." That's when we turned from wholesome coconut oil to rancid vegetable oils. There was an infamous campaign to demonize coconut oil based on a study using "hydrogenated" coconut oil. No matter how healthy an oil is in its original state, once it is hydrogenated it becomes one of the worst possible foods for your health. In other words, it was a rigged study. At one-time coconut oil was the oil of choice before polyunsaturated oils, before obesity, heart and a myriad of other diseases plagued our nation. Here is some food for thought: if Polynesian communities' main staple is coconut, and coconut is so unhealthy, why don't the Polynesians look like the majority of Americans; Obese and sick? 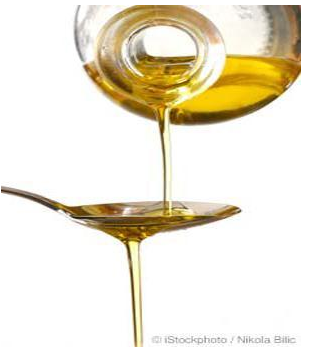 Unsaturated oils which are long chain fatty acids (LCFAs) such as: soybean oil, corn oil, safflower oil, canola oil, sesame oil and sunflower seed oils (also called "polyunsaturated” fats, because they're plant-based) are mostly oils found in concentrated amounts in the seeds of the plant. Because seeds are a plant's precious reproductive material but are susceptible to hungry animals, evolution has set defenses in place. The oil throughout the plant is concentrated in the seeds and is one such protector. To dissuade animals from eating their seeds, plants concentrate their oils in their seeds; the oil blocks digestive enzymes in the seed-eater. Mess with an animal's digestion and it tends to go elsewhere. Digestion has a very important role in over all health, including thyroid health. When digestion is off, so is the thyroid, which may lead to low thyroid function. When the thyroid is under-active, metabolism slows down. We all know a sluggish thyroid means weight gain;a sluggish thyroid can also cause heart disease? The little thyroid gland has a big role to play in our bodies because it affects our metabolism and every organ in the body. Hypothyroidism (sluggish thyroid) can cause blood pressure problems that can lead to heart disease and can worsen existing heart problems. Hypothyroidism gives rise to a myriad of other diseases : restless leg syndrome, carpal tunnel syndrome, stress, sleep apnea, rhabdomyolysis, dry skin, pleuralfusion, obesity, amenorrhea, fatigue, urinary incontinence in women, thyroiditis, Raynaud's Phenomenon, thyroid cancer . You can take medication for a sluggish thyroid, but why not eliminate what is causing your thyroid problem in the first place? Industrialization and mass production of foods produce products that contain high quantities of polyunsaturated oils. If you are eating pre-packaged, processed foods and frequenting fast food restaurants on top of cooking with polyunsaturated oils, maybe you should ask yourself, "What will my health be like ten years from now?" Not a pretty picture. Polyunsaturated oils are a toxic burden even before industrial processing tames them down. Free radicals, acidity and oxygenation are some of the problems with polyunsaturated fats. When these fats are exposed to heat and oxygen they turn rancid. The seeds these oils come from are made to germinate in the spring, and are not evolved for heat. Once they enter our body polyunsaturated oils are exposed to heat and oxygen that turn them rancid, thus causing free radical damage. 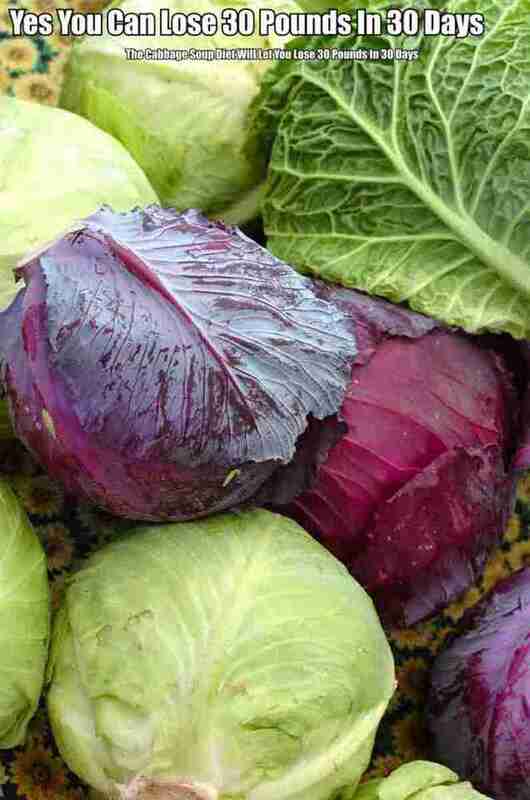 Besides premature aging, sagging and wrinkly skin, free radical damage is a major trigger for many diseases, including cancer, heart disease and autoimmune diseases such as arthritis, Parkinson's, Alzheimer's and cataracts. "Polyunsaturated vegetable oils are important for heath they are called essential fatty acids (EFA's) because they are essential to your health and a good source of omega 6 necessary for your optimal health." There is nothing further from the truth. Unsaturated oils lead to heart disease and contribute to the ingestion of (damaged) omega-6 in amounts that cause problems. Healthy amounts of omega-6 can be obtained by eating whole foods such as coconut oil, avocado, organic eggs from free-range chickens, and grass fed beef. Coconut oil consists of approximately 50% Lauric acid (healthy saturated fat) a trace of polyunsaturated fatty acids (Linoleic acid) and monounsaturated fatty acids (Oleic acid). Lauric acid is converted in our bodies to monolaurin (not produced by our bodies) which boosts immunity, reduces sickness and fights viral infections, such as liver disease, kidney disease, Chron's disease, cancer, flu, herpes, measles influenza and hepatitis C, to name a few. Researchers in the Philippines are studying lauric acid and it's in it's effectiveness against HIV/AIDS. Coconut oil is not a fad diet; it keeps your body operating at tip-top condition; like a well-oiled machine. Coconut oil, boosts your metabolism, increases energy, and helps a sluggish thyroid. Coconut oil has thermogenic properties (raises body temperature) which raises our metabolism. It decreases our appetite by regulating insulin levels, and nourishes our thyroid by producing thyroxine; the more thyroxine the more energy the more calories you burn. Children have more thyroxine than adults, which explains their high energy level. When you consume coconut oil you burn fat for energy, due to the MCFAs which nourish the mitochondria and give you instant energy. Unsaturated oils, on the other hand, damage the mitochondria via oxidative stress. Coconut oil and quality coffee (see Fountain of Youth) is a powerful pre-workout, belly buster cocktail. Just add a spoon or two of organic extra virgin coconut oil to your quality coffee. This combination is part of a dynamic breakfast and is sufficient to drink alone (without additional food) before your workout. The combination of coconut oil and the right kind of coffee (coffee also contributes to weight-loss) revs up your metabolism and gives you a successful and efficient workout. Take 3 to 4 tablespoons per day for weight loss results. Coconut oil increases absorption of B vitamins, the fat-soluble vitamins: A, D, E, K, and is rich in antioxidants. 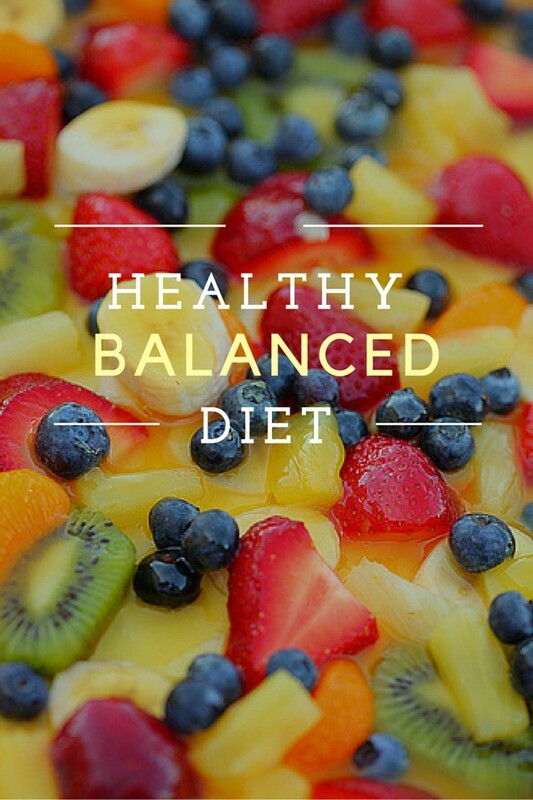 These vitamins and antioxidants help destroy free radicals that can cause premature aging and wrinkly, saggy skin. I don't go a day without applying coconut oil all over my body and face. 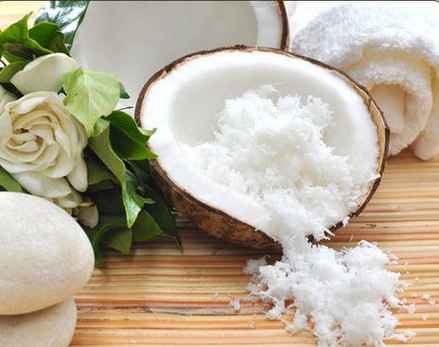 Absorbing deep into the skin coconut oil strengthens connective tissues which helps reduce fine lines, wrinkles and promotes elasticity. I love the way it feels and smells (a subtle, pleasant aroma), especially how soft and smooth it makes my skin look and feel. It seems my miniature poodle likes the taste of coconut oil; she seems to instinctively know how good it is for her. As soon as she hears the twist of the cap she is by my side licking the oil my legs. I'm sure coconut oil is beneficial for her as well, but I rather not share my leg oil :o) I am thinking of adding some to her food since she is looking a little pudgy, lately. You can also shave with coconut oil, use it as sun screen and it's a great deodorant. Unlike polyunsaturated fats, coconut oil's lauric acid (saturated fat) nourishes the thyroid, which influences every organ in our body including our heart. Coconut oil gives us instant energy like carbs, but instead of spiking insulin levels and making us sick as carbs do, coconut oil stabilizes insulin levels and protects us from type 2 diabetes. Coconut oil's beneficial fatty acids---lauric, capric, and caprylic---have antioxidant, anti-fungal, antibacterial, and antiviral properties. These fatty acids prevent and treat ulcers, throat infections, urinary tract infections, acne, bruises, psoriasis, athletes foot, nail fungus and more. Candida is a chronic condition many people don't even know they have. Candida lives in your body and is a yeast that thrives on carbs and sugar, the more yeast build up, the more carbs and sugar you crave; it's a viscous cycle. Candida has many symptoms, some of the being: fatigue, bloating, joint pain, depression, acne, itchy skin, cravings for sugar and carbs, poor memory, fast or irregular heart beat, dizziness, numbness, anxiety, cystitis, thrush, menstrual irregularities, asthma, weight gain and loss, ear infections and insomnia. Coconut oil's fatty acids destroys candida yeast. According to a study by the University of Iceland, coconut oil kills candida yeast without leading to resistant Candida strains the way other anti-fungal candida treatments can. 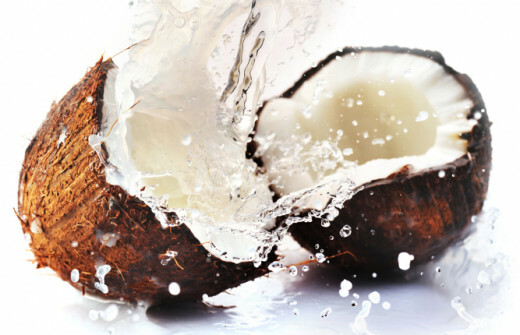 Coconut oil can convert medium chain fatty acids into brain-nourishing ketones. Most long chain triglycerides (LCT) need to be digested with help from our gallbladder, but Medium Chain Triglycerides (MCT) go directly to the liver, which converts them to ketones. The ketones are released into the circulatory system making their way to the brain, thus helping brain function. According to Health Impact News: "A study done in 2004 took MCTs, from coconut oil and put them into a drink that was given to Alzheimer’s patients while a control group took a placebo. They observed significant increases in levels of the ketone body beta-hydroxybutyrate (beta-OHB) 90 minutes after treatment when cognitive tests were administered. Higher ketone values were associated with greater improvement in paragraph recall with MCT treatment relative to placebo across all subjects." Dr. Newport said in an interview with CBN that coconut oil has dramatically improved her husband's Alzheimer's. After being unable to get her husband enrolled in a clinical trial based on Medium Chain Triglycerides (maybe the one above), Dr. Newport conducted her own trial. Since coconut oil is a rich source of MCT's she gave her husband some every day by mixing it in his food. In just five days she says his mental fog lifted and there was tremendous improvement. Within five months, Dr. Newport's husband was more like his old self, more aware of people and enjoying social interactions again. Some physical ailments had subsided, as well, and some disappeared. This experience has prompted Ms Newport to write a book: Alzheimer's Disease: What IF There Was a Cure? I haven't read this yet, but I'm looking forward to it. Coconut oil improves absorption of minerals, such as calcium and magnesium. This is not only great nutrition but great for strong teeth (fewer cavities) and strong bones that can help prevent osteoporosis. Coconut oil nourishes, protects and restores damaged hair. 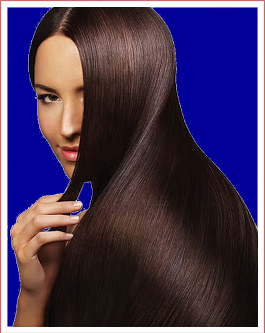 Apply coconut oil to you hair and let it seep in overnight, or for a few hours during the day. When you wash it out, your hair is silky and shiny. I like to rub some oil in my hair when it's dry; it takes away any frizzies and leaves my hair smooth and shiny. Of course it makes sense the higher the quality of coconut oil you use, the more health benefits you receive. Make sure you only buy virgin organic coconut oils. Be aware that even virgin organic coconut oils are mass produced. The oil is usually extracted from the coconut milk by mechanical means. This doesn't mean the organic virgin coconut oils isn't good; it just means it's not the best. Why not get the best for maximum benefits to obtain optimal health? Tropical Traditions Gold Label, comes straight from the Philippines uses a traditional method and is handcrafted by family producers. Once the coconut milk is extracted by grating fresh coconut, the milk is left in a covered container for 24 hours. This is how the oil separates from the water which produces the purest coconut oil there is for the most benefits you can have. It is recommended to consume 3 tablespoons of coconut oil per day for optimal results. If you are in emergency mode ( trying to heal from a disease) the dosage should be as much as 5 tablespoons per day. Some people take it by the spoonful. Add coconut oil to your soups, stews, and smoothies and don't forget your coffee. Fry eggs with coconut oil. Butter your toast with coconut oil (there is coconut butter (sometimes called cream) which works well for this. Coconut oil for sauteing vegetables is delicious. Coconut oil can handle the very high heat without being altered or going rancid at a smoking point of 260 degrees. Drop eggs in blender, drizzle oil slowly, then add lemon and salt. Combine baking soda, sea salt and coconut flour. Mix in eggs, honey, vanilla and butter. Now I am going to buy some organic coconut oil and use it daily! Thanks for sharing your article. It's sad how everything we eat these days are overprocessed, I wonder how healthy we will be in 10 years from now, something has to change. thanks for your comments and sharing! I agree coconut oil is delicious. Here in Brazil, I have coconut palms on our farm. But even in this area where many are grown, I can't find coconut oil. I looked into the process of extracting it myself but it was beyond me. My husband has had a bee in his bonnet about getting the so called, 'good veg oils' out of our diet and bringing in natural fats. After being away from the States for many years, I was surprised when I returned everything tasted very salty and over processed. Consumers are being manipulated and their health is suffering I fear. You have listed many great uses for a wonderful product. I recently heard about the benefits of coconut oil for people who suffer from Alzheimer's disease. I can now see that there are so many more benefits. I'm glad I like the taste of coconut. Thanks for writing this hub. It was very informative. Voting and sharing! Thanks for your truly wonderful comment! Let's keep spreading the word about coconut's amazing qualities! I know something about coconut oil as I come from a place that is surrounded by coconut palms which played a key role in village life - until "modernity" and massive propaganda against coconut oil reduced its overarching significance. It is still an integral part of our diet and therefore I have followed the research on MCT. But this hub has added to my understanding with its pretty comprehensive coverage of all aspects - Thanks !!! It's amazing isn't it! Tropical Traditions is the best all the way around, smeil, taste and huge health benefits. Cathy, this is a great hub about the benefits of coconut oil. I knew there were benefits. I just wasn't sure to what extent! Thanks for sharing, I appreciate it so much. Conconut oil is great for losing weight, it has helped me. I am so happy you read this and that you have changed your mind about coconut oil! Thanks for visiting! I'm glad you use coconut oil, it's also great for balancing our hormones. I agree it's delicious. Awesome hub, voted up and shared, I never knew you could use coconut oil to help you lose weight, great useful info. Very useful and interesting information. My family has always thought that coconut oil had much fat, but this hub clarifies things. I will pass this to my family too. Thank you for sharing this with us. Voted up and sharing! Great hub. I use coconut oil to cook sometimes. It tastes great. Thanks for sharing. Wow I would love to grow my own coconuts! I have been going to the Asian market lately and buying young green coconuts. The coconut water is so sweet and delicious and makes delicious kefir. What a wonderful healthful way to live. Dendê oil Is not something I use but know that is it rich in antioxidants. Also great for baking. Everyone around here (including myself) grows coconut to drink and consume whole but most foods are still cooked in dendê oil. There is a lot of great information on here so I am sharing this on HP and twitter. I see you are a fan of coconut oil as well, it's nice to know something we love is good for us for a change :o) Thanks for your comment and I hope you like your mayo and celery sticks. Cathy, Thank you for sharing your Coconut Oil Mayo recipe. I look forward to glopping it on celery sticks. Also thank you for this tribute to coconut oil, which hopefully clarifies misperceptions about this wonderful oil. I have long been a fan of coconut oil, and it truly is a fantastic conditioner. I'm glad you liked my hub. Your granny made the coconut oil herself? Do you remember the way she did it? I am sure you are very busy, but if you have time I would really appreciate your opinion, I really want to be successful and value what you have to say. Cathy! You asked for some suggestions, so here goes. 1- This is a very long Hub and writing long hubs is a problem of my own. If you want more traffice, you need more Hubs, so I sugest that even this one be split. remember you are playing a game for more readers, so write shorter Hubs of 750- 1500 words as a goal. With this one, you could have at leat two very informative Hubs which gives you two Titles and two sets o Keywords for searches. Separate your sections with a thin-line photo similar to what I use, this gives both HP and Google more places to place their ads. Break your long paragraphs into short ones. Thissives your Hub a more airy look. Reader of information on the web do not lke to be challenges by jumping into a long paragraph. They want lots of break points where they can go away and do othe things. Oh, And your Hub was really good. Voted UP and Useful. Thanks so much for your comment and sharing with your FB friends. I very much appreciate it. Thanks so much, I'm so glad you like it. Thanks, I will try it and sounds wonderful! You will of course need a beef stew, chicken stew or any stew of your choice to accompany the 'coconut rice' - hope you try it sometime. Thank you so much for sharing! Sounds delicious! Nice to read about the wonderful Coconut and its oil. We use grated coconut to spice rice. Neighbours can tell from a long way off that something delicious is cooking. 2. submerge the grated white stuff in very hot water (just enough for your rice). Stir thoroughly to get the oil out of the particles. 3. Sieve the coconut gratings to leave you with a milky white fluid rich with coconut oil. Squeeze the gratings well to get the last drop of oil from them. 4. Boil the rice in the milky white water and add salt to taste. Note that the salt and coconut are all the spices you need. In some places you can buy grated coconut in a supermarket. Enjoy! Good informative hub! I have recently started using coconut oil. I bake with it, eat it, use it as a lotion, and condition my hair with it. Thumbs up! Voted up and useful. Thanks for sharing this informative and interesting hub. I didn't know how healthy coconut oil can be. Great videos. 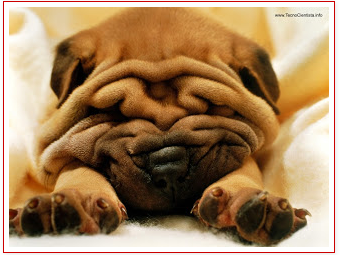 Love that pic of the wrinkly doggy. You're like me I'll write about a subject and if I can I'll slip in a pic of an animal if it fits in. Great hub and passing this on. I enjoy coconut oil in my coffee. I must do this more often as I see that it is so healthy for the body and mind. Thanks for sharing. It truly is an amazing our body thrives on it. Interesting hub. I have been hearing more and more about coconut oil lately. Mostly about how good it is for hair, but these other benefits are interesting too. Thanks for commenting. So nice something so healthy is so delicious! I'm so glad you are going to buy it, just make sure it's organic virgin coconut oil. Your going to love what it does for you. Thank you, I'm so glad you liked it! Thanks for the vote it is very appreciated. Cathy, I loved this insightful hub and information. This is so interesting and informative - I had not read about Coconut Oil before but am definitely going to buy some asap -it makes so much sense - thank you for this. Our family are HUGE fans of coconut oil and we drink a version of it because it tastes good! I am happy to know it also brings with it many positive benefits. I did not know it was used in weight loss as well. Thank you, I'm glad you liked it. I totally agree, I buy it by the gallon! This is another excellent hub. Coconut oil is great stuff and the truth about this remarkable food needs to get out. As always, very comprehensive and informative.